A good mattress is something every human needs to get a truly comfortable night’s sleep. Though its derivation is rooted in an Arabic word which means the mat or pad, it has taken fast pace in expanding itself through the European and the Asian zones. Mattresses were meant to be used on top a specific platform like bed or a box but this thought has been changed because they have also become a part of low surfaced sitting. Earlier the filling of the mattresses were made using resources like feathers or straw but as the time changed with modernization, the mattresses are being made with materials like latex, foam or spring. The modernization has so much impacted the evolution of the most comfortable mattresses; even natural resources like air and water have played a part in the progression to current forms of the mattress. The foam mattress is comprised of the kind of materials that have been used for a long period as padding in packaging furniture, even helmets and for objects that are to be carefully carried and this is the reason they manage to absorb extreme pressure of heavy objects people. The latex material for the mattress is derived from rubber trees in the form of sap. After the sap is whipped and with continuous treatment is being converted into a foamy substance, comfortable for many to sleep upon. As far as the last category of mattresses, spring mattresses are concerned, they are mostly divided into various categories like the spring, pocket spring or the inner spring though they are all meant to serve the same purpose and functionality. Each being based on metal spring coil technology. Foam mattresses are constructed by man to feel as soft as a cloud. Latex mattresses are far more luxurious for people who are trying to buy something better than the sometimes lumpy spring mattresses. Spring mattress comfort is not always undesirable, as you may not be able to feel the metal coils within the bed. The foam mattresses are so flexible that they fit to the person’s body shape. This kind releases the stressful sides of the sleeper providing with a lot of support. While you get up from the bed, you would want your loved one to stay asleep; in that case the best choice should be the foam mattresses which avoid any kind of movement. The latex mattress is best suitable for the environment as they are naturally made. Due to its natural base, it avoids any kind of troubles like the mites, mold etc. Spring mattresses are among the best of all the kind of mattresses available in today’s era in terms of the comfort, support and as well as durability. It provides with complete relaxation to the body by adapting easily to the motion of the body. Henceforth, we can say that all three kinds of mattresses are derived from differing sources. Foam mattress is comforting so is the latex and at the top is the spring. Latex mattresses are good to avoid any kind of parasite trouble. 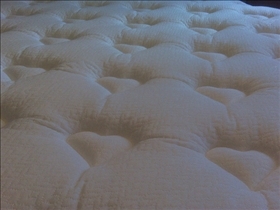 Foam and latex mattresses are famous for the aroma released during the first few months of use. Though each one of them has a characteristic of their own, it depends on the requirement of the individual, which one to make the part of the bed family! Which type of mattress is most comfortable? I did. I purchased a 'Green Sleep' system from Obasan in Ottawa, Canada. They come in three different firmness levels: soft, medium, and hard. 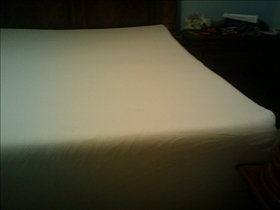 I got the hard firmness thinking I'd need it, but I weigh 130 lbs, and I found I woke up achy, as it was too firm for me. My husband had chosen the﻿ medium firmness (I think he weighs around 180 lbs), and so he switched with me. I now sleep on the medium, but I think I should have gotten the soft. Medium is still pretty firm. This is really true the about the Spring mattresses. You have provided us best comfortable all kind of mattresses. because they have also become a great part of specific mattresses. I have also liked of this mattresses. This has been very helpful. Orange vs. Tangerine vs. Clementine: Sweeter Than an Orange? Propane vs. Butane: What is the difference?